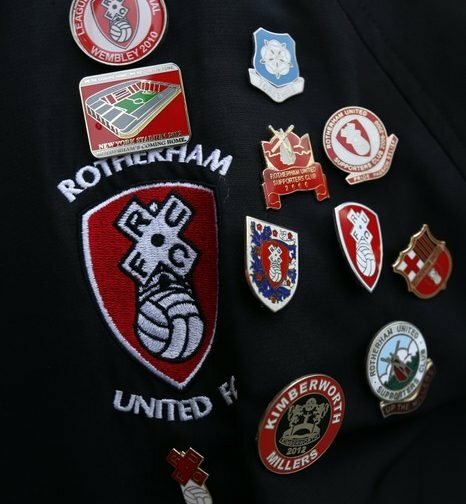 Rotherham United Manager Paul Warne isn’t the only ex-Millers player involved in the League One Play-Offs this week. Former midfielder Nick Daws will be in charge of the Millers opponents as caretaker Manager and Paul Hurst is the Manager of Shrewsbury. Nick came to the Millers in 2001 and played over seventy games in the four years he played before going out on loan to Grimsby where he played his last professional game. After the loan he came back to Millmoor, retired from playing and joined the back room staff under Ronnie Moore as fitness coach. When Alan Knill took over as Manager he became first team coach keeping the same job under Mark Robins who he moved to Barnsley with. Since then he became Head of Coaching at QPR before moving to Glanford Park as first team coach again under Mark Robins. Nick was put in temporary charge when Robins left and then became Graham Alexander’s Assistant when he took over the Managers job. In March this year Nick was again put in temporary charge of the Iron when Alexander left. Apart from a short loan spell with Burton Albion defender Paul Hurst played his whole career with the Millers. After hanging up his boots in 2008 Hursty went as joint manager with his former team mate Rob Scott to Ilkeston then Boston before taking over at Grimsby in 2013 who he helped to promotion back to the Football League in 2016. In October of 2016 he moved to manage Shrewsbury. Speaking about the three former team mates, Warney told iFOLLOW, ‘Yes there’s three of us but you could also say that Polly (Mike Pollitt) and Rich (Richard Barker) are a massive part of what we are doing here so there’s five of us. ‘I think its testimony to the team that Ronnie (Moore) and Breck (John Breckin) put together. We’re all honest, hard working lads which is probably why we had success on the pitch and why, at the moment, we are having success off the pitch. ‘I think the world of Dawsy, he’s a really good bloke and he went down the fitness route. I think he was always a fitness coach who had aspirations to being a coach and a manager. Since he took over at Scunthorpe with Andy Dawson I think they’ve done really well and injected some enthusiasm into the team.